HTC's new flagship Android phone for 2012, the One X, will be available through Virgin Mobile in Australia from early April, the telco has revealed on its Web site. Australian Android blog Ausdroid first stumbled on Virgin Mobile's dedicated page for the HTC One X, which tells consumers to "check back in early April for updates." Despite not launching until next month, however, Virgin has published its pricing for the new smartphone. It will be available for $0 on Virgin's $59 fair go plan over 24 months. The plan includes $700 worth of calls and MMS messages, unlimited SMS messages to all networks and 3GB of data per month. All Virgin Mobile plans also include unlimited SMS, MMS and calls to other Virgin Mobile users. While Virgin isn't the first to reveal it will sell the One X, it is the first telco to publicly reveal pricing and availability. Telstra is widely expected to launch a slightly different 4G version of the phone, the HTC One XL, while Optus will sell the regular 3G version along with Virgin. 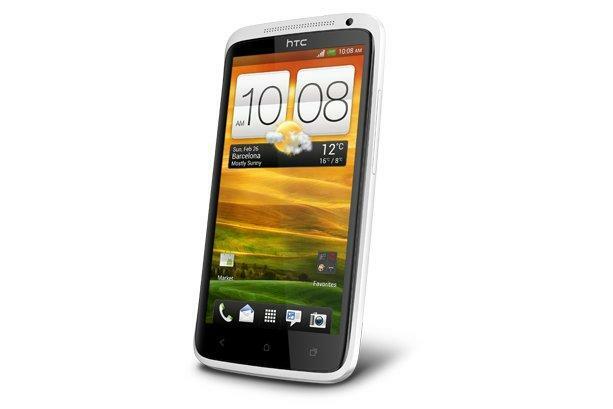 Unveiled just last month at the Mobile World Congress (MWC) trade show in Barcelona, Spain, the HTC One X is the company's first smartphone to feature a quad-core processor, NVIDIA's 1.5GHz Tegra 3 chip. The One X also has a large 4.7in Super IPS LCD2 with a HD resolution of 1280x720 and will come standard with a Near Field Communications (NFC) chip, 32GB of storage and an 8-megapixel camera with backside-illuminated sensor. The One X also marks a new design trend by HTC. It uses a single block of polycarbonate plastic, the same material found on Nokia's Lumia 800 and N9 smartphones. The HTC One X runs the latest 4.0 Ice Cream Sandwich version of Google's Android operating system and is skinned with HTC's Sense 4.0 UI.